Sneakers: Nike Air Footscape Magista Flyknit. "BRIGHT CRIMSON"
Highly popular in Europe, the Nike Air Footscape Magista Flyknit is now starting to make waves in the states. Combining the Flyknit upper of the Magista soccer boot with a Footscape sole unit, this new release features a Bright Crimson upper with black accents and a navy leather patch on the heel, a speckled off-white midsole and a black outsole. 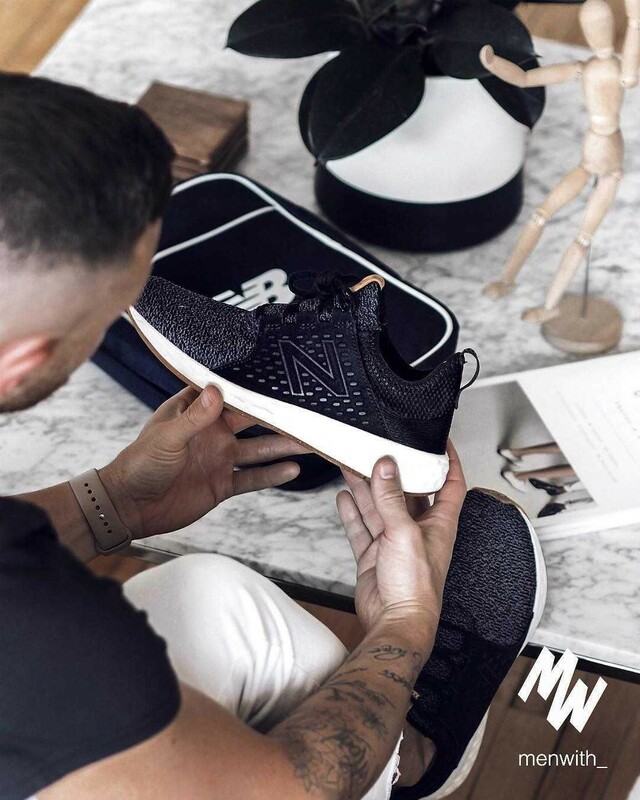 This Made in the USA M997DEXP by New Balance sports a Black suede upper with Encap cushioning, leather materials and embroidered tongue and heel cap. Finished off with contrasting Red accents throughout, sitting on top of a white midsole. Sneakers: Nike Lunartempo 2 Print . Men's Nike LunarTempo 2 Running Shoe has been tweaked just slightly from its predecessor with the addition of an internal bootie for even more plush comfort. The inner sleeve fits like a sock and has perforations for added ventilation. This lifestyle sneaker is not one to be taken lightly. This adaptable and ventilated runner has been developed with the Mayfly's athletic heritage in mind, while staying true to the streets that made the silhouette popular. This premium take on the track-born MayFly sneaker offers the wearer one of the lightest possible feelings, when worn on the foot. They simply HAVE to be tried on to be fully understood. The Phylon outsole has been reinforced with rubberised traction points for that crucial grip, in any situation. This plush, premium sneaker’s uppers come in the form of deconstructed, minimalistic panels, which take the Mayfly's old school appeal and combine it with an almost moccasin inspired vibe.